We've had Obi-Wan Kenobi, yesterday was General Grievous, and today it's Anakin Skywalker! This is the one that may have a running change to "Darth Vader" on the nameplate, so you may as well get this special version if you're here. And if you aren't? Well, you're dead to me. I live-tweeted the panel, but if you missed it, here are my posts in reverse order-- included are highlights from the slides as well as commentary. Big news: 3-Packs 3-Pack, Kohl's Galactic Heroes AT-ST, Vintage AOTC wave! It's messy. Image Gallery Update: Hundreds More Pictures! Hundreds more pictures from the show floor! Check out this ShopStarWars.com Mara Jade (and Darth Bane) as well as dozens of fans, toys, panels, and other goodies! Seriously, go now! And don't miss the dozens of photos from the entire Ralph McQuarrie exhibit, which we shot and freaking loved! On sale at Celebration V-- with practically no line at all-- is a two-pack with Fixer and Camie Marstrap. This is a great set-- the comic is nice, but the fact that you're getting action figures of a legendary scene you've likely never seen is pretty amazing. She's well-done too, so read on! Mickey Gunslinger finds the new Deluxe Obi-Wan Kenobi with BARC Speeder and Mandalorian Speeder with Mandalorian Warrior for $16.97 each at the Super Wal-Mart in Scottsdale, AZ. Happy Hunting! Catch a bunch of pictures from Celebration V! Click here to see 222 images from the show floor that took about an hour and change to get up. What fun! Seriously though, check out the dioramas and new addtions! Here's a quick update from the Hasbro booth. Beleaguered Rebel fly-boy Wedge Antilles will be coming out on a Return of the Jedi cardback (#26) in a future wave. He will keep the number that he would have in the current collection despite shipping later on. As was revealed at San Diego Comic-Con, the Wedge Antilles figure is being delayed to improve the sculpt. Hey everybody! I'm in the bowels of the convention center snapping photos and doing research, and I have good news-- sort of. 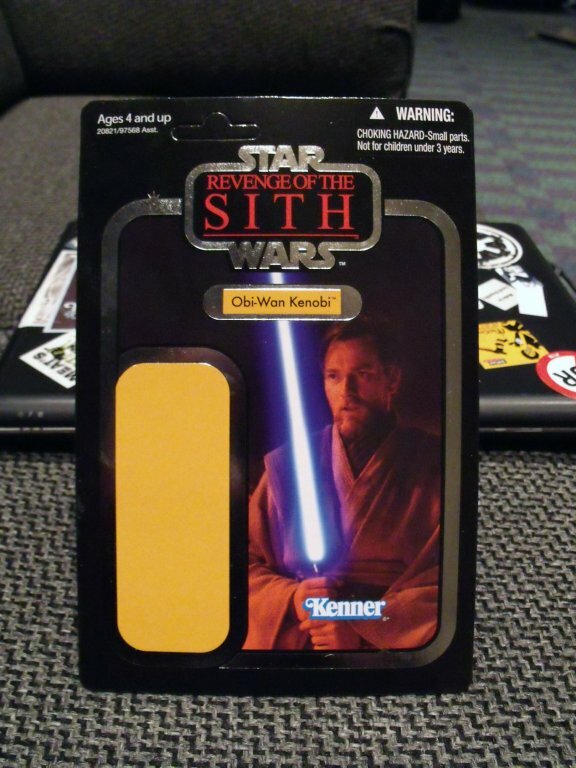 There isn't much new on display, other than the first "official" look at the Slave I set coming to Toys "R" Us. 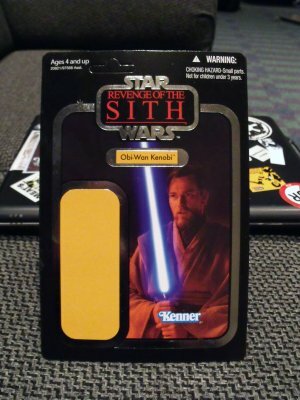 Hasbro's booth is giving away a Galactic Heroes Luke Skywalker X-Wing Pilot and a foil edition Obi-Wan Kenobi cardback. I'll have more for you later, but so far, there's not much new here!